What in the world is going on with Jimmy Butler? He forced his way out of Minnesota and was ​dealt to the Philadelphia 76ers, a clear top-four team in the Eastern Conference. But not all is rosy in the City of Brotherly Love. According to ESPN's Adrian Wojnarowski and Ramona Shelburne, Butler has "aggressively challenged" Sixers head coach Brett Brown over his role in the offense. 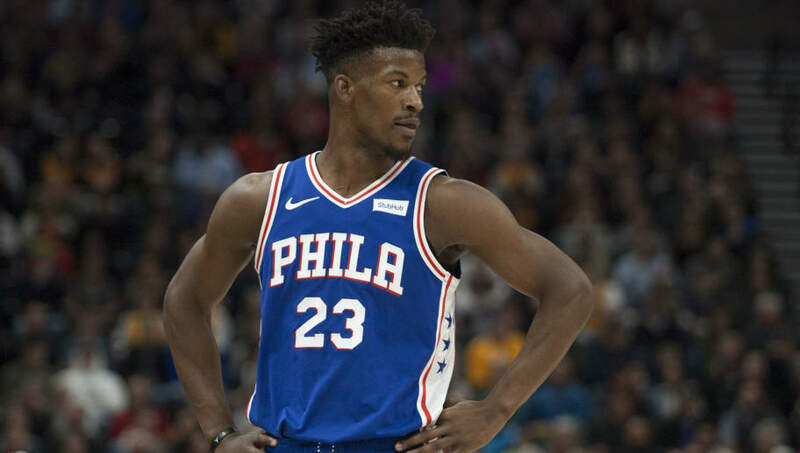 ​Butler was already an...interesting fit, to say the least, with Philadelphia's young stars Joel Embiid and Ben Simmons, and now he's causing problems because he's not being utilized in the way he wants? It's one thing to make a suggestion to your coach about certain sets you want to run and are familiar with, but it seems he didn't go about it the right way and really went after Brown, who received a ​contract extension last year. It makes even less sense when you consider the fact that Butler is the new guy, and he's clearly stepping on people's toes here. Butler will be a free agent at season's end, but if this issue metastasizes and he continues to be a cancer in the locker room, don't be surprised if he gets traded again. It doesn't seem like he's enjoying himself in Philly, so you might as well get something for him before he walks in free agency for nothing. The cycle never ends. Let the circle stay unbroken.